Kenney Mencher: Calendar of events from Queer|Art artists for the month of June. Take that Summer Friday off, whip out your sunscreen and hit the streets - June's got a bunch of great events in store for you in the city and elsewhere. A group exhibition at the Leslie-Lohman Museum of Gay and Lesbian Art curated by Current QAM Mentor Avram Finkelstein, entitled Found: Queer Archeology; Queer Abstraction, will bring together a robust group of QAM Mentors and Fellows, past and present, united as social anthropologists of the queer. It coincides with a Soho block party/launch of a new mural on the museum's façade by the Silence=Death collective, an afternoon that includes a series of readings hosted and curated by Current QAM Mentor Pamela Sneed, featuring Current QAM Fellow Heather Lynn Johnson. A few days later and a couple blocks away, 2011-2012 QAM Mentor Mx. Justin Vivian Bond will host the Lammys (Lamda Literary Awards), with books by Multi-year QAM Mentor Stacy Szymaszek and Current QAM Mentor Sarah Schulman nominated for prizes. And, of course, June is NYC Pride! Queer|Art has partnered with Wythe Hotel to present QUEER|ART|PRIDE, a special weekend of screenings by rising star LGBTQ filmmakers. The two-day celebration includes work by QAM Fellows Erin Greenwell (showing her feature My Best Day) and Natalia Leite with a special screening of her latest feature M.F.A., as well as a selection of shorts made by QAM Alumni. Queer|Art|Pride starts your weekend off with a bang, as we get ready to celebrate our 100th screening of Queer|Art|Film on Monday, June 26th with F2L presenting Southwest of Salem: The Story of the San Antonio Four. More info on these and lots of other events below! 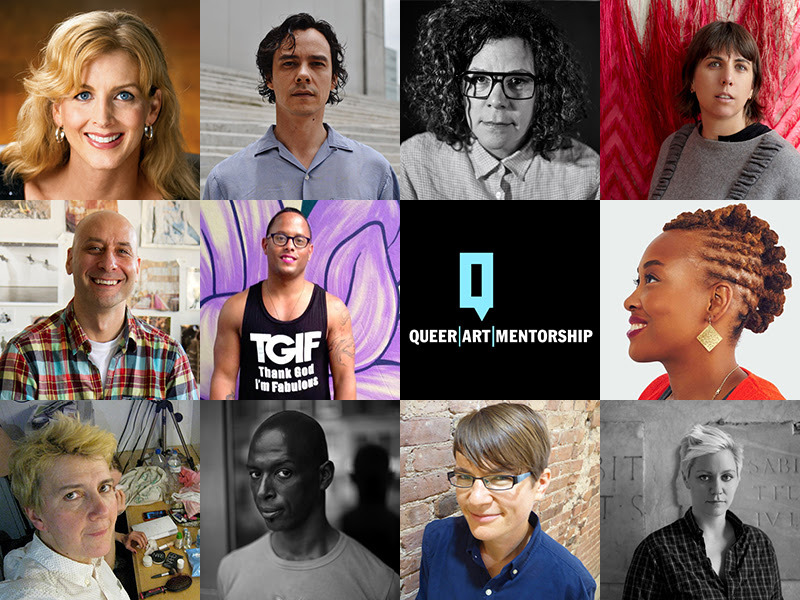 Applications to become a Fellow in the 2017-2018 Queer|Art|Mentorship program open June 1st! Queer|Art|Mentorship, now in its seventh cycle, supports a year-long exchange between NYC-based LGBTQ artists at different stages of their practice. The program brings together artists across five fields: Film, Literature, Performance, Visual Art, and Curatorial Practice. 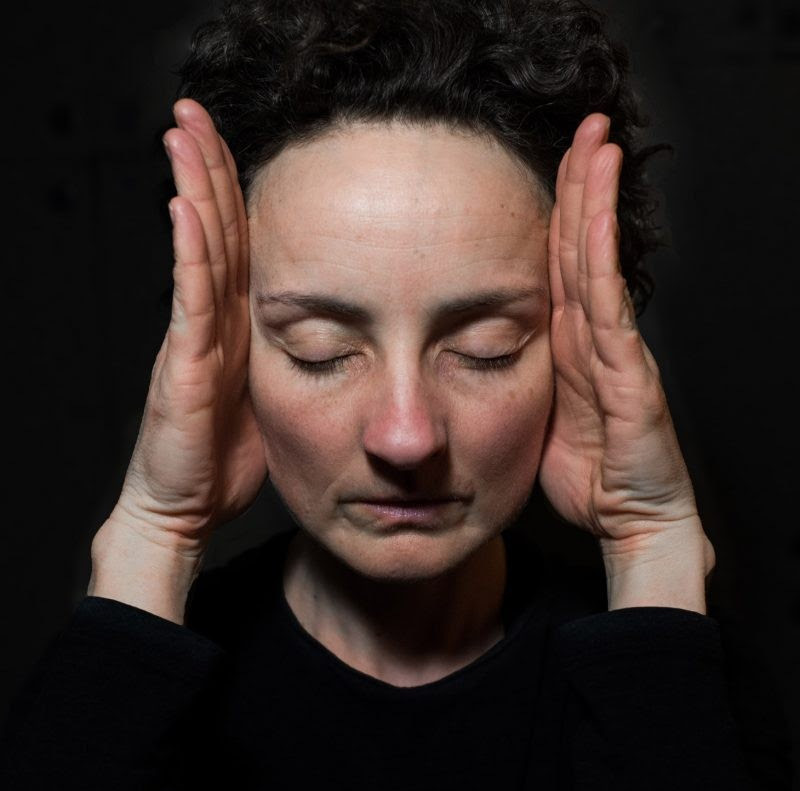 Rachel Jett in a promotional Image for "Don Delillo: The Body Artist"
2011-2012 QAM Fellow Jess Barbagallo will perform in an experimental theater show based on Don Delillo's 2001 novella, The Body Artist, adapted/directed by Jody McAuliffe. 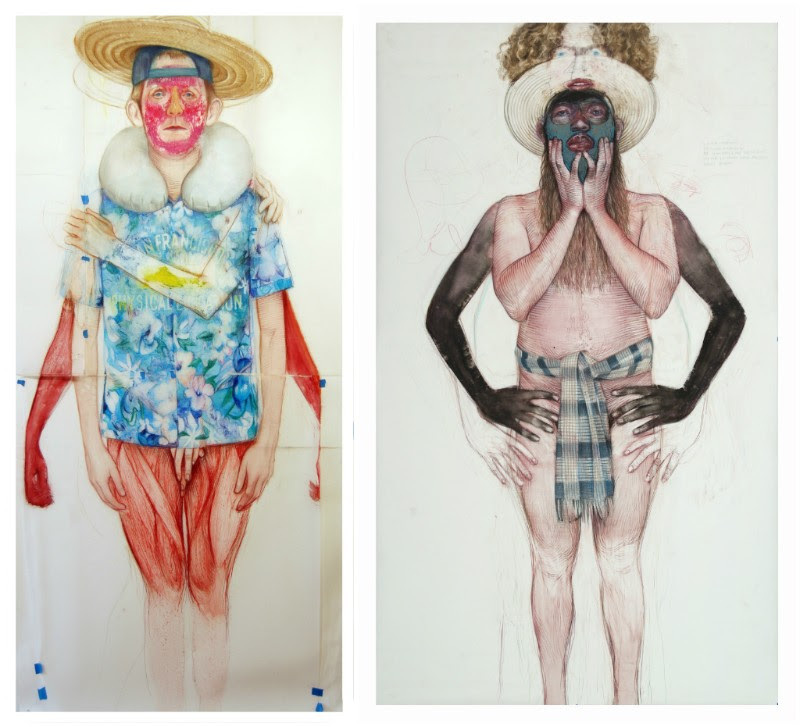 The narrative follows Lauren Hartke, an artist whose work crosses the limits of the body. While living on a lonely coast in a rambling rented house, she encounters a strange, ageless man with uncanny knowledge of her life. Together they begin a journey into a spare, seductive outpost of time, love, and human perception. The play also stars Rachel Jett, Tanya Selvaratnam, and Tory Vazquez. 2015-2016 QAM Fellow Monstah Black has co-curated (with Laurie Berg and Amy Khoshbin) the biannual Movement Research Festival, entitled surprise! surprise(!) surprise/! surprise for Spring 2017. This week-long, multi-venue series explores contemporary dance forms through performances, classes, workshops, contact jams, multimedia installations and discursive formats, and includes work by 2014-2015 QAM Mentor Jibz Cameron (aka "Dynasty Handbag") as part of the video series Interiority Complex XVII. The festival promises to explore "the place where movement blends with humor, sound paints the landscape and visuals twist the mind into… surprise!" 545 West 25th St., 9th Fl. 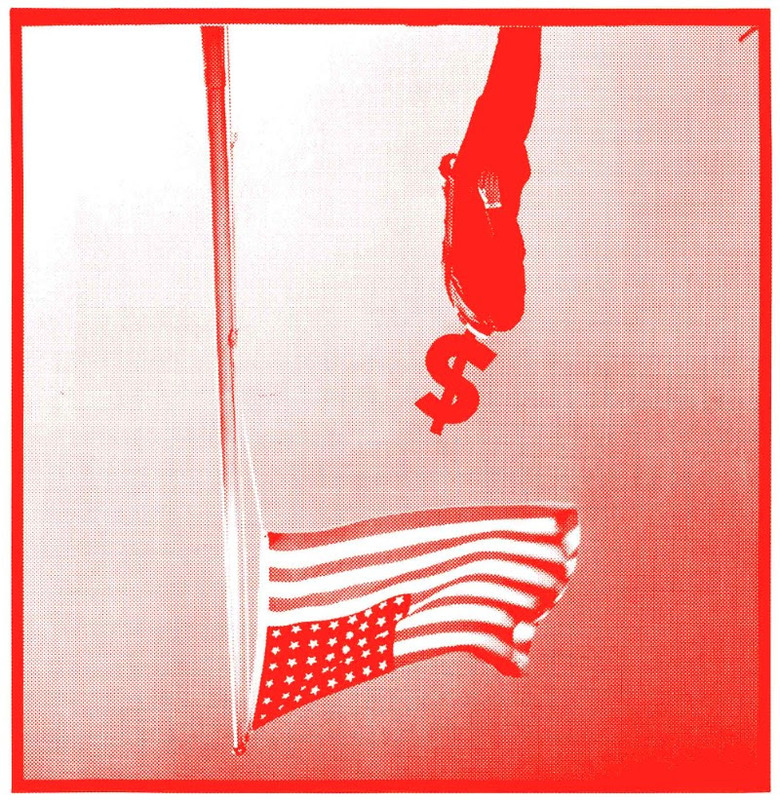 Current QAM Mentor Avram Finkelstein has new work in FLAG Art Foundation's group exhibition, entitled The Times. Including over 80 artists, the show uses The New York Times as a point of departure, and features work that uses the "paper of record" to address and reframe issues that impact our daily lives. Current QAM Mentors Sarah Schulman and Avram Finkelstein, will take part in a discussion on the legacy of HIV/AIDS activism in the 1980s/90s, and how activists and artists continue to develop new models of treatment, prevention, and campaigns today. Finkelstein and Schulman will be joined by multidisciplinary artist (and Queer|Art|Film presenter!) Kia LaBeija, and Director of Policy for Housing Works Reed Vreeland for the talk, which is part of MCNY's new exhibition, AIDS at Home: Art and Activism. Geoff Chadsey, "SFPE" (left) and "Global Dandyism"
Multi-year QAM Mentor Geoff Chadsey will show work in a two-location group show for Jack Shainman gallery, entitled The Coffins of Paa Joe and the Pursuit of Happiness. Ghanian artist Paa Joe's abebuu adekai (fantasy coffins) serve as the exhibition's centerpieces, while work by other artists in the show reflects on the complexities of existence, and offer perspectives of possibility, hope, and freedom, and a departure from the mundane. 2012-2013 QAM Fellows Reina Gossett and Sasha Wortzel will screen films for Black Queer Brooklyn, a series of film events on Thursdays in June, featuring young, black, queer, female-identified, and gender-nonconforming artists and filmmakers working in Brooklyn today. 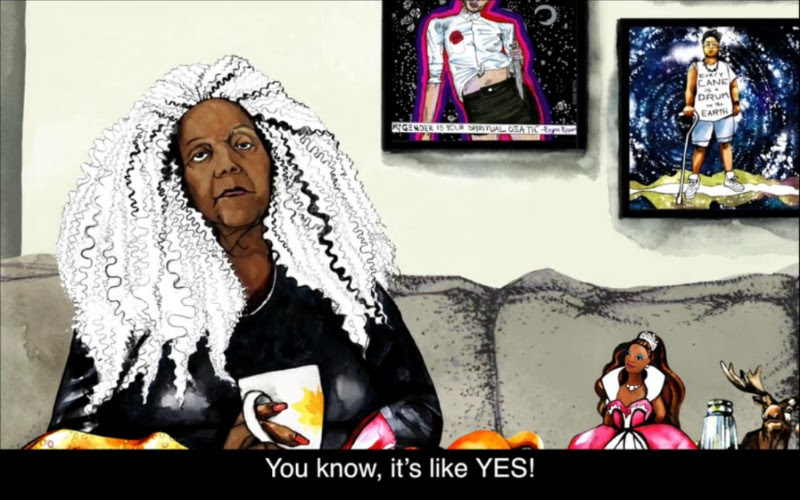 An excerpt from their work-in-progress, Happy Birthday, Marsha!, about trans rights pioneers Marsha P. Johnson and Sylvia Rivera, as well as Gossett's animated short film The Personal Things, about trans woman activist Miss Major Griffin-Gracy! Current QAM Mentor Avram Finkelstein has curated a new group exhibition at the Leslie Lohman Museum entitled FOUND: Queer Archaeology; Queer Abstraction. The show examines queer identity utilizing the tools of abstraction, and the exhibition design and installation take inspiration from the concept of the artist's workshop as a space for excavation and inquiry. It features 27 artists, including past and present QAM participants Rodrigo Moreira, Carrie Yamaoka, Geoff Chadsey, Angela Dufresne, Doron Langberg, Maia Cruz Palileo, and Troy Michie. For the opening of FOUND, the museum will host a Saturday afternoon block party, which will also serve as the launch of the 2017 QueerPower Façade Commission, which invites artist(s) to create work on the façade of the museum's building. This year's piece is by the Silence=Death Collective, which includes Finkelstein as a member. 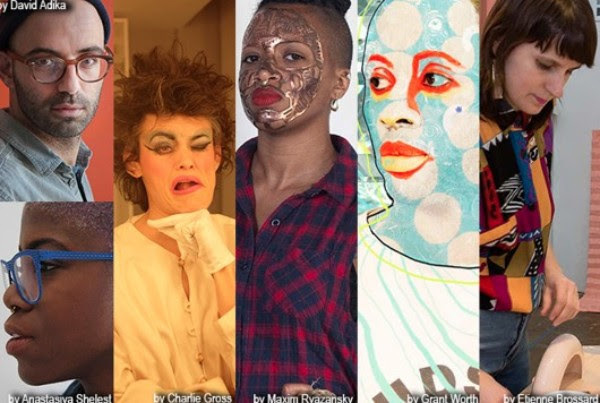 The block party will feature a series of readings, curated and hosted by Current QAM Mentor Pamela Sneed, with performances by Sneed, Current QAM Fellow Heather Lynn Johnson, Carmelita Tropicana and Ishmael Houston Jones. The afternoon also offers various food truck vendors, a youth art fair from GSA MS 447, family activities and music. Tickets are also available to Live Loud Now, the Museum's annual summer benefit on Thursday, June 8th, which is honoring the Silence=Death collective with music, drinks and mirth! The 29th Annual Lamda Literary Awards will be held at the Skirball Center on June 12th. Hosted by 2011-2012 QAM Mentor Mx Justin Vivian Bond, the Lammys identify and celebrate the best lesbian, gay, bisexual and transgender books of the year and affirm that LGBTQ stories are part of the literature of the world. This year, Current QAM Mentor Sarah Schulman and Multi-Year QAM Mentor Stacy Szymaszek have both been nominated for their books, Conflict is not Abuse and Journal of Ugly Sites and Other Journals, respectively. An after party at Le Poisson Rouge follows the ceremony. 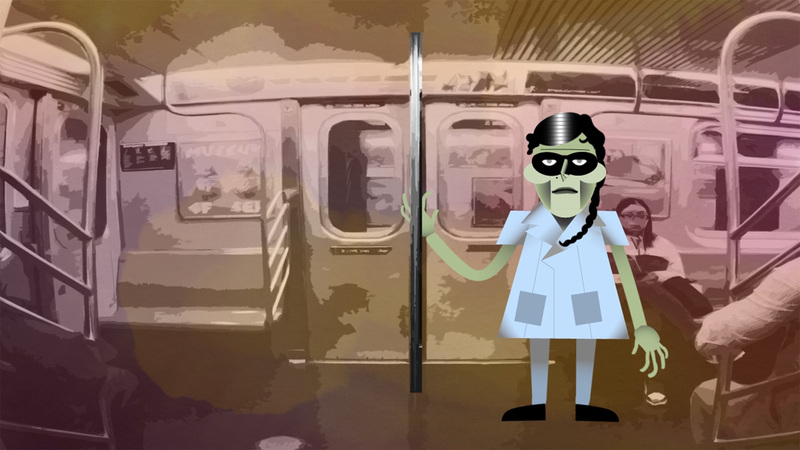 QAM ALUMNI SCREENINGS, CAROLINE WELLS CHANDLER OPENING & MUCH MORE! 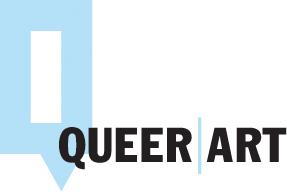 Queer|Art has partnered with Wythe Hotel in Williambsurg, Brooklyn to present “Queer|Art|Pride,” a special weekend of screenings by rising star LGBTQ filmmakers. The screenings will be presented in the Screening Room at Wythe, and are included as part of the Wythe’s Home For Pride weekend of festivities. “Queer|Art|Pride” comprises an afternoon of short films and two evenings of feature film screenings, including a special screening of M.F.A., a dark satirical thriller directed by Natalia Leite. All films are by alumni filmmakers of Queer|Art|Mentorship! Other festivities during Home For Pride include the opening of a new lobby art installation by Caroline Wells Chandler; a Friday night party hosted by Will G.I.A.N.T. Sheridan; and drag queen happy hours at Wythe’s rooftop bar hosted by The Dauphine of Bushwick, Horrorchata, and Gayletter.